Many people travel to Slovenia to witness the annual ski flying event which this year will take place form 18th to 21st of March in Planica. Ski jumping is a relatively popular sport in Slovenia. I guess that is due to the world famous Planica K-185, where a first ever jump over 200 meters was made in 1994. The current world record stands at 239 meters (that's 784 feet!). That is by far the largest ski jumping facility in Slovenia, but there are also many smaller ones. Recently a group of local enthusiasts in a village nearby where I live, decided to build their own ski jump. They went for a smaller one (K-30), but it came out quite impressive nonetheless. 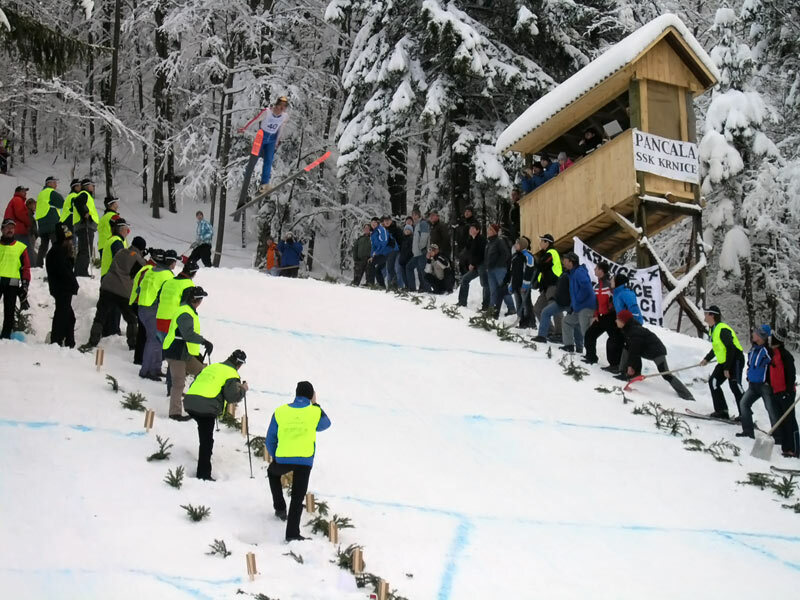 As I learned there is quite regularly an amateur ski jumping contest held on various locations around Slovenia - simmilar to this one in Pancala near Idrijske Krnice. Contestants usually don't use ski-jumping gear. They mostly do it with ski-boots and old skis originally meant for alpine skiing. This time I attended just as a spectator but it was still fun to watch what can be done in a relatively short period of time. As far as I know it was all done with voluntary work local enthusiasts were willing to put into this project. I think something like that can hardly be found anywhere these days. The event was definitely a success. Quite a crowd of spectators came to see what was going on. The participants were young and old. I even captured one of the local jumpers in a video - you can check it out here. Even an official mascot was there to entertain the crowd. 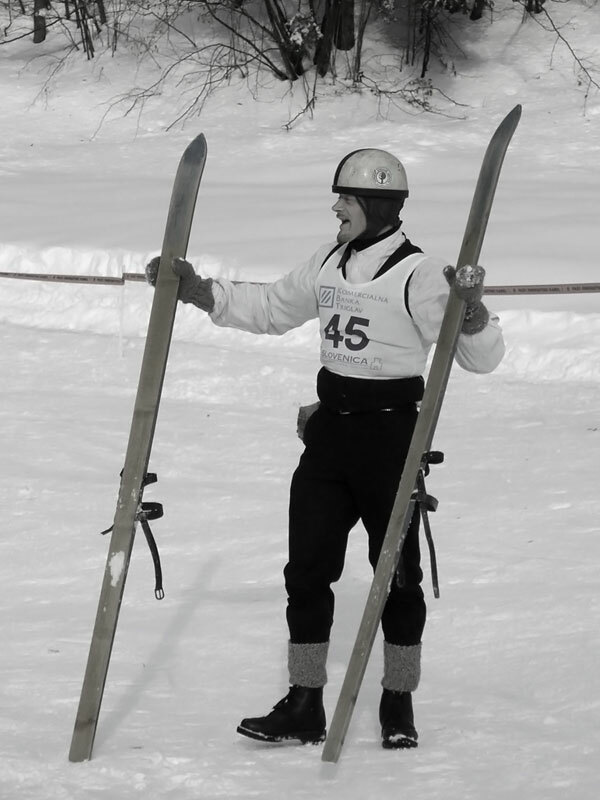 He was equiped with some really old wooden skis and even attempted a couple of jumps. He had skis attached to his shoes with simple leather straps. As he said dogs also developed a strange attraction to his skis. He suspected his home made ski wax had something to do with it. As people did in the old times he also used some genuine, home made lard. It looked like the old recipe still works.